I was introduced to LA band Wildcat! Wildcat! recently because Neon Gold are pressing two of their singles to 7″, however I am assured that they’ve been doing the online rounds for virtually the whole year. I really need to pay more attention. It’s not hard to see why they’ve been so popular with bloggers: their music just oozes cool. With lush, sundrenched melodies, sickly sweet falsettos and super slick production design, Wildcat! Wildcat!’s music is almost irresistible. Plus their name is a reference to The Royal Tenenbaums, so I think they may just know the audience they’re appealing to. Check out their website for more stuff. 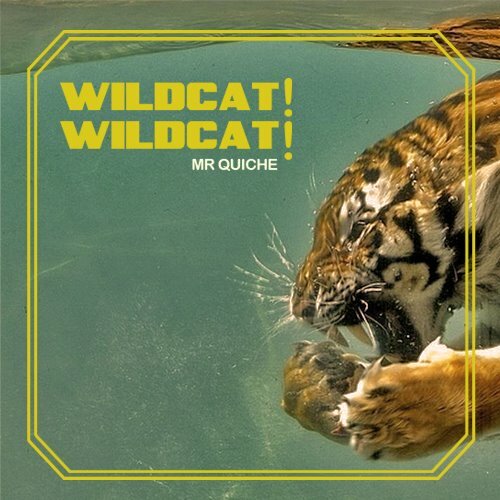 band, mr quiche, neon gold, single, the royal tenenbaums, wildcat! wildcat!